The focal theme of this International Conference is “Electrical Engineering and Futuristic Technology (IC-EEFT)”. The aim of the conference is to bring together researches, scientists, industrialist and students to share and discuss knowledge of community based planning and practices from different parts of the state, country and world, particularly India. Integrate the lessons learnt into national and international development programmes to enhance ultimately the capacity to improve the livelihoods for entire community. 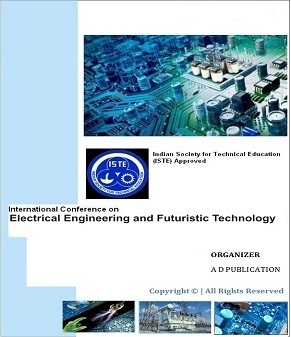 A D Publication Organize 2nd International Conference on Electrical Engineering and Futuristic Technology On (Date: Comming Soon) at (Place: Comming Soon). And their applications in business, industry and other subjects.